Flipkart Mobiles Bonanza Sale starts from December 26 and ends on December 29. Last "call of 2018 to get your dream phone at a super-low price." Flipkart is ending its Best of Season Sale on December 24, but if you are thinking that this the last sale then you are wrong. The e-commerce tech giant has silently announced another sale. The company is once again hosting Mobiles Bonanza Sale from December 26 to December 29. 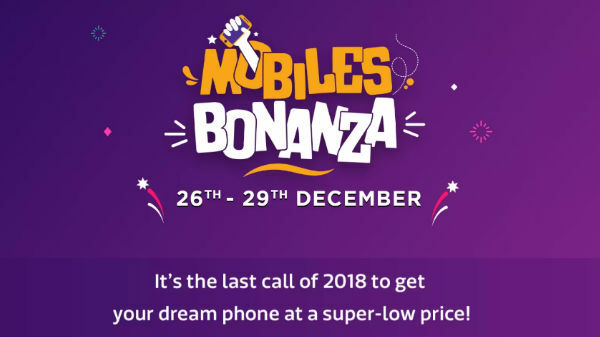 Flipkart says this is the last "call of 2018 to get your dream phone at a super-low price." Meanwhile, the company is also running polls where customers have the right to choose their own best smartphone of 2018. Those who are shopping on the website will be able to give their valuable vote for the following categories. Best All-Rounder Smartphone, Best Looking Smartphone, Best Camera Phone, Best Battery Smartphone and Best Smartphone in each Price Range. Asus Zenfone Max Pro M1 was launched at the starting of this year as a Flipkart exclusive. Later the smartphone has become one of the best-selling devices in the budgets segment smartphones. The smartphone has also seen multiple price cuts. During the sale, the Zenfone Max Pro M1 will be available at Rs 8,999. Flipkart is also offering an exchange offer on the phone along with a buyback guarantee and smartphone secure solution starting at Rs 99. You can also opt for the no-cost EMI option. Under the Mobiles Bonanza Sale, the company is offering the Realme 2 Pro at a starting price of Rs 12,990. The smartphone has seen a discount of Rs 1,000, it was launched at a starting price of Rs 13,990. This makes it one of the cheapest device with Qualcomm Snapdragon 660 SoC. You can also avail the smartphone with no-cost EMI option, along with buyback guaranteed of ₹7,000 on exchanging this mobile within 12 months. Nokia 5.1 Plus is up for grabs during the Mobiles Bonanza sale for Rs 9,999, which is same as the price seen during Big Shopping Days sale. 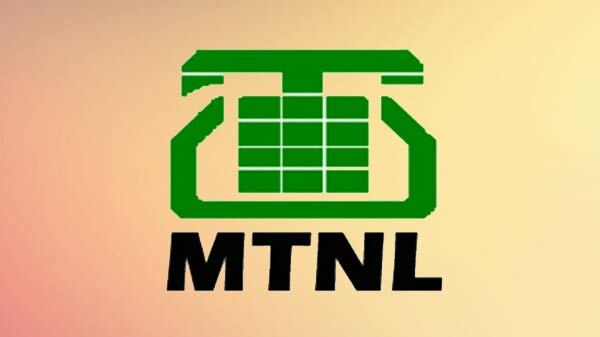 The company is also offering buyback guarantee and smartphone secure solution starting at Rs 99 along with no-cost EMI option. Honor 9N was launched a couple of months back and it will be up for sale at Rs 8,999. The smartphone comes with a 5.84-inch Full HD+ display along with a notch on the top. The smartphone is powered by a Kirin 659 SoC, clubbed with 3GB RAM and 32GB storage. On the optical front, the smartphone offers a dual camera setup with the combination of 13-megapixel and 2-megapixel along with an LED flash. At the front, it houses a 16-megapixel camera sensor for taking selfies and video calls. It is fueled by a 3,000mAh battery and runs on Android 8.0 Oreo. The Asus Zenfone Max M2 is a budget smartphone and it will be up for sale with a starting price of Rs 9,999. On the other side, the Zenfone Max Pro M2 will be up for grabs with a starting price of Rs 12,999. 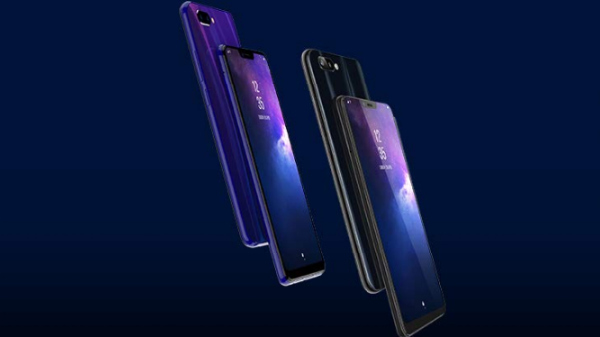 Both the smartphone was recently launched by the company. You can also grab the smartphone with no-cost EMI option along with buyback guarantee and smartphone secure solution starting at Rs 99. 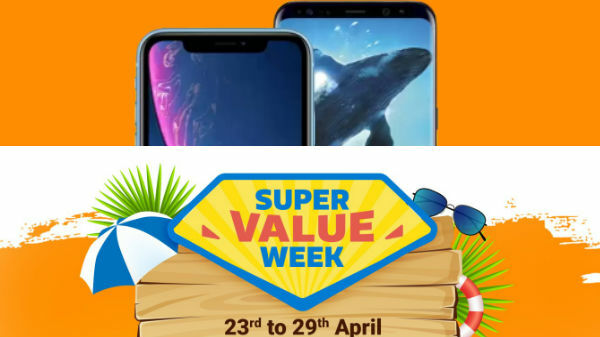 Apart from all these, Flipkart is also offering discounts on a smartphone like the Samsung Galaxy On6 and Galaxy On8 at Rs 9,990 and Rs 12,990 respectively. The Asus Zenfone Lite L1 will be up for grabs at Rs 4,999. Meanwhile, Realme C1, Realme 2 and Motorola One Power will retail for Rs 7,499, Rs 9,499 and Rs 14,999 respectively.